Put one of these cards in your shot and your picture is instantly ready to be shared or scrapbooked. You can't stop taking pictures of your baby, and for good reason. Your baby is absolutely adorable. But on those special milestone moments, easily up your game with these professionally designed photo cards. 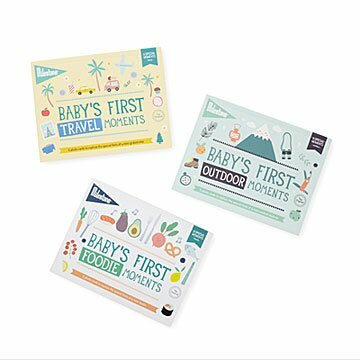 When your little one is bundled up by the fire on a family campout (Baby's First Outdoor Moments), or puckered up after a first taste of lemon (Baby's First Foodie Moments), simply put one of these cards in the shot and your picture is instantly ready to be shared on social media or treasured in a scrapbook. Made in the Netherlands.